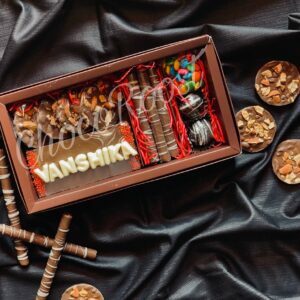 Gift designer customized chocolates to your loved ones and make them feel special. 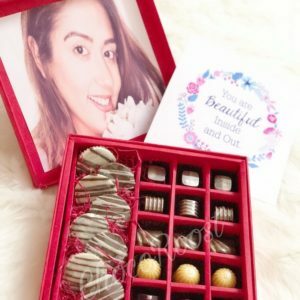 Create your own personalized chocolate gift box by adding your personal message, a greeting & a lovely photo and get appreciated by loved one. 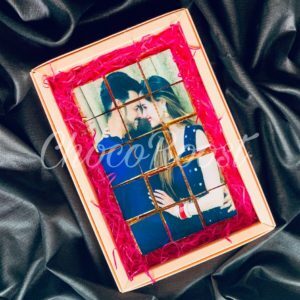 The handmade chocolate gift box can include the name of your loved one or a special message written on chocolates itself, all edible. 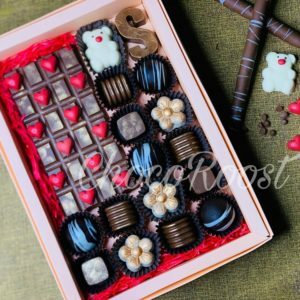 Give a sweet & a unique twist to your customized gift with Choco Roost! 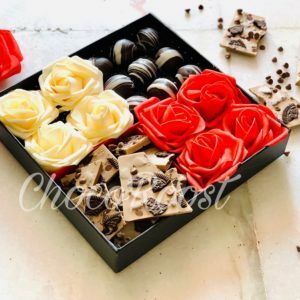 Choco Roost is an online handmade chocolates provider based out in Delhi. Send personalized chocolate gifts to your loved ones on their special day. Even for chocolates, you don’t need any occasion to make your loved ones feel special, just gift them a pack of love & show them what they mean in your life. 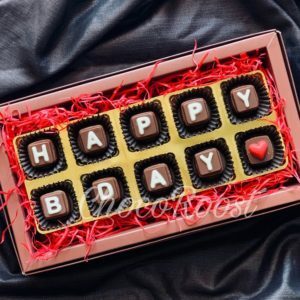 We have a wide range of personalized chocolates for weddings, birthdays, anniversaries & other special occasions that you can deliver online. Deliver the best chocolate gift at your loved one’s door step. We assure the quality of the handmade chocolates & delivery. 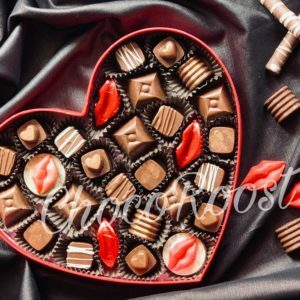 Buy Choco Roost’s great quality customized handmade chocolates online now! 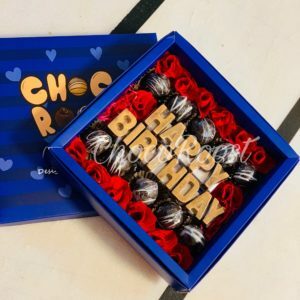 We manufacture fresh & finest handmade chocolates for birthday gifts, wedding invitation boxes, corporate gifting, etc. We specialize in customized chocolate gift boxes. 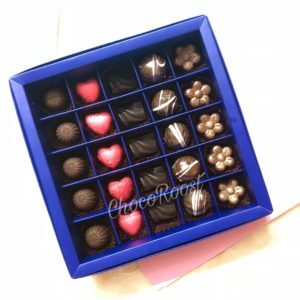 Our Chocolate gift box contains different flavored chocolates, a greeting, a personalized message & a photo. We offer dark, milk, white, couverture chocolate, assorted chocolates & chocolate truffles in various flavors, including Blueberry, Caramel, Nutella, Mango, Butterscotch, Brownie, Mix Fruit, Strawberry etc. Our gift boxes come wrapped with a beautiful bow filled with the ‘most tastiest’ chocolates ever that you cannot resist yourself by having only one. Our sweet treats wins heart of everybody all around the season! Choosing a perfect gift for your friends, family or your loved ones is very difficult. It is more difficult when you have to choose a gift for your relatives or for the person who is not very close to you. But, chocolate is the only thing that comes in handy, loved by everyone & fits into any occasion. You cannot go wrong when you gift chocolates. 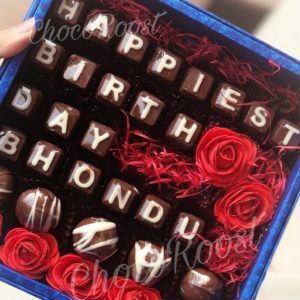 When you pick a chocolate gift for them, you can make it more personal & unique by picking the type of chocolate, by writing a personal message, by choosing a greeting & by attaching a perfect picture. But, how all of these things are even possible at once? Well, here when Choco Roost comes. 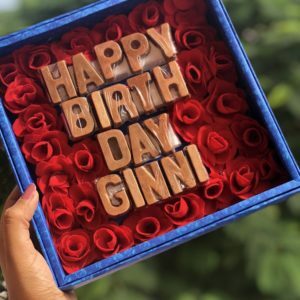 You don’t have to worry about these things, just choose a chocolate gift box from our wide range & rest of things will be taken care by us till the delivery. 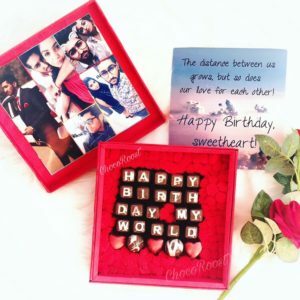 Choose a handmade chocolate gift now & express your feelings towards your loved ones.